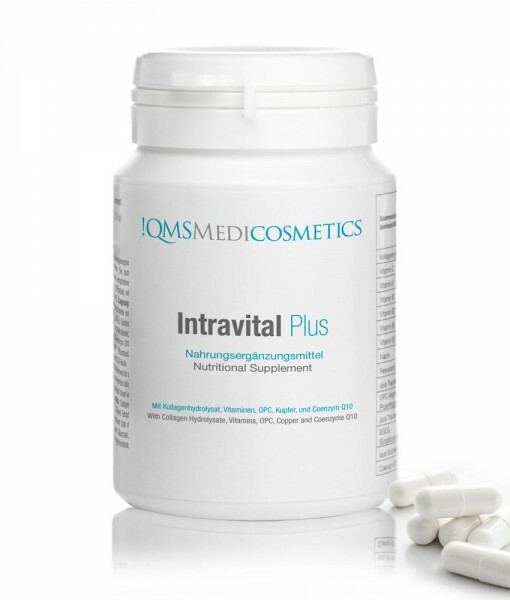 Leading the way in nutricosmetics, Intravital Plus offers skin regeneration from a supplement. While most of us focus on topical solutions for our skin’s fluctuating complexion and well-being, regeneration from within can make the world of a difference! That is why QMS Medicosmetics formulated their Intravital Plus capsules. Each capsule contains all the necessary vitamins to recondition, regenerate and protect the skin’s structure from within. The high proportion of beneficial ingredients ensures an improvement in skin quality and a general feeling of wellbeing, beauty and vitality. Each capsule contains all the necessary vitamins to guarantee maximum efficacy in the regeneration and proper functioning of the skin. 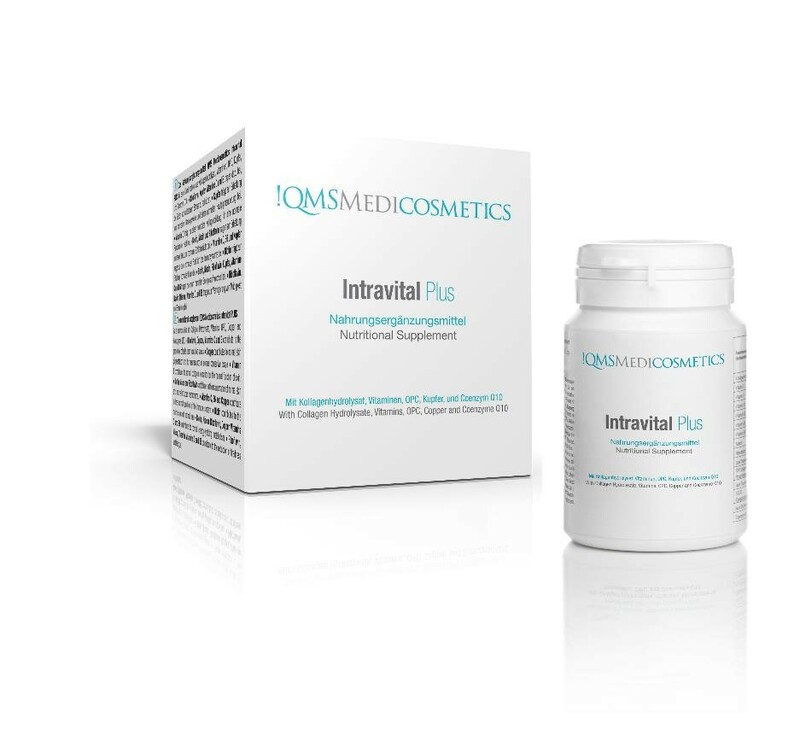 Intravital Plus ensures an improved overall skin quality and a general feeling of well-being, by offering an orthomolecular therapy for skin, hair and nails. (Orthomolecular medicine, a form of alternative medicine, aims to maintain human health through nutritional supplementation). 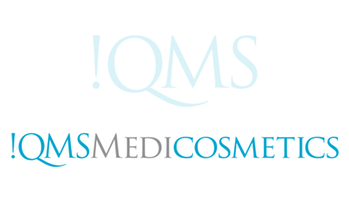 The high proportion of Hydrolysed Collagen, vital Vitamins, precious Micronutrients, Biotin Resveratrol, OPC, Copper Gluconate and Coenzyme Q10 in each Intravital Plus capsule helps reduce fine lines, wrinkles, hyper-pigmentation and premature skin aging whilst complementing all the additional products in the QMS Medicosmetics skincare collection. The carefully selected ingredients contribute to the energy-yielding metabolism, maintenance of skin and protection of cells from oxidative stress. Biotin targets the maintenance of the skin and normal mucous membranes as well as contributing to normal energy-yielding metabolism. Copper Gluconate supports the normal pigmentation of the skin and the maintenance of connective tissue. Both ingredients are optimally combined with other active agents like Hydrolysed Collagen, Vitamins B1, B2 (Riboflavin), B3, B,6 B12 and C, OPC and Coenzyme Q10 for optimum results. What will Intravital Plus do for my skin? It guards the skin against fine lines, wrinkles, hyper-pigmentation and premature skin aging. Stimulates collagen & elastin synthesis. Normalises the pH-value of skin. Helps to normalise skin pigmentation.